Ichiro Inuyashiki (Noritake Kinashi) is an elderly man, working for a company. One day, Ichiro Inuyashiki is involved in an explosion. When he regains consciousness, he discovers that he is now a cyborg with incredible powers. He decides to use his powers to help those in need. Meanwhile, Hiro Shishigami (Takeru Satoh) is a high school student. He was also involved in the same explosion and has gained the same the powers as Ichiro Inuyashiki. Hiro Shishigami decides to use his power to kill off all those who are hostile to him. 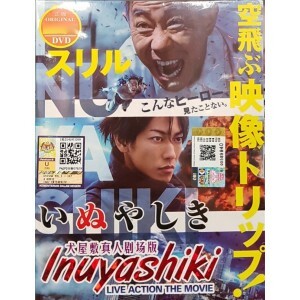 Ichiro Inuyashiki attempts to save Japan from Ichiro Inuyashiki.